Auckland Libraries’ photograph collections contain over five hundred thousand images and are continually growing. Today we are spotlighting a 2013 accession of photographs taken by Di Stewart which have recently been digitised and made available online through our Heritage Images database. 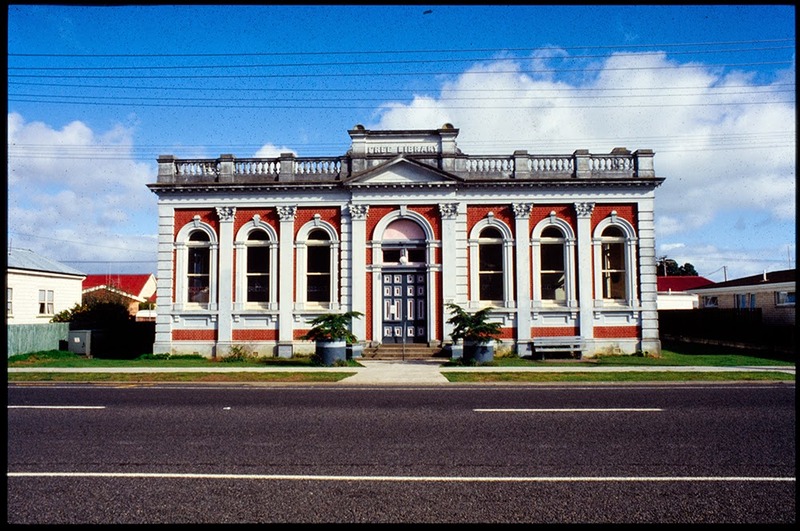 Ref: Di Stewart, Carnegie Library, Thames, 1990s?, Sir George Grey Special Collections, Auckland Libraries, 1200-37. 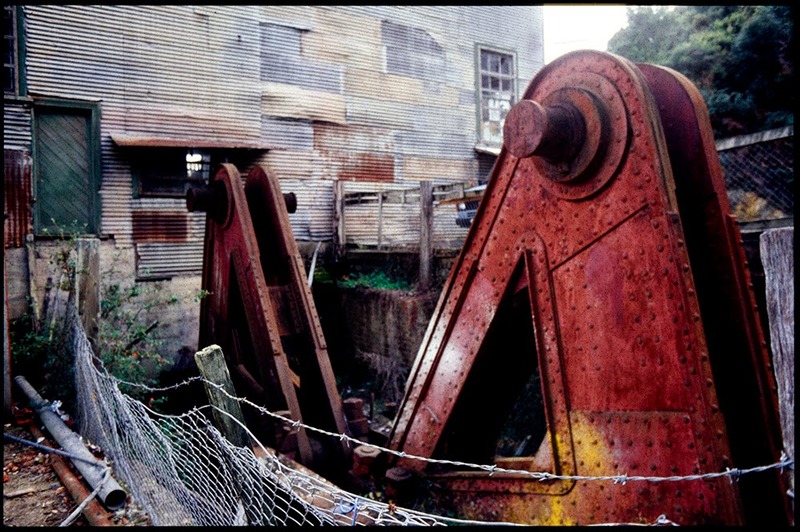 Ref: Di Stewart, Queen of Beauty Mine pump quadrants, Thames, 1990s?, Sir George Grey Special Collections, Auckland Libraries, 1200-22. 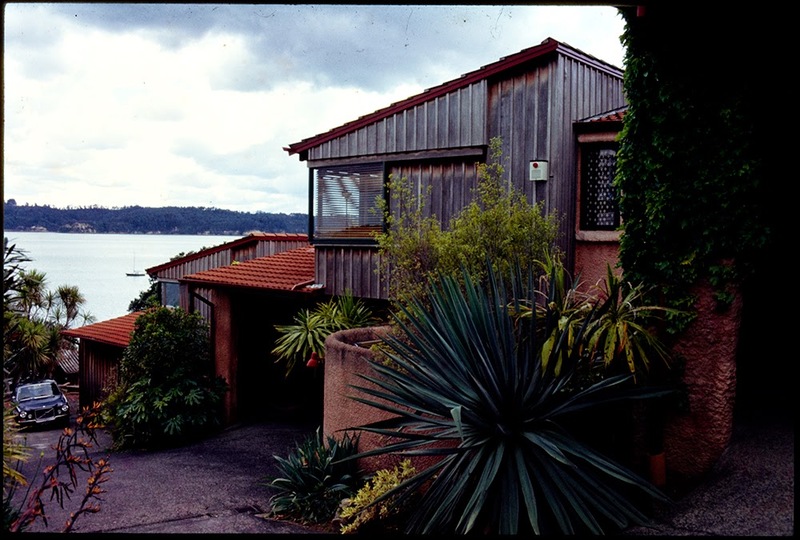 This collection is made up of ten boxes of 35mm colour slides, the photographs are of buildings in Auckland, Thames, Whanganui and Sydney (mainly Paddington and The Rocks areas). 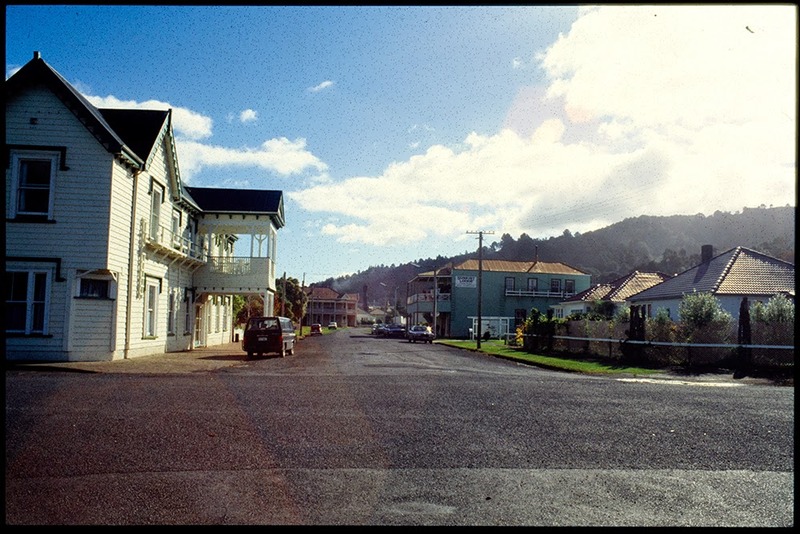 The photographs date from the 1980s and 1990s although there are also a few copies of some older nineteenth century images of Thames from the early twentieth century of Whanganui. To browse the collection, go to Heritage Images and search for: 1200 Stewart. Ref: Di Stewart, Lady Bowen Hotel, Thames, 1990s?, Sir George Grey Special Collections, Auckland Libraries, 1200-46. 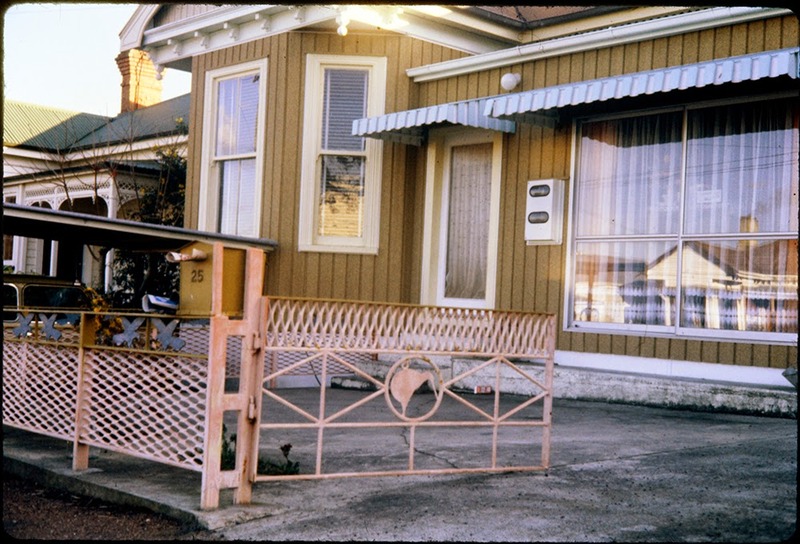 Ref: Di Stewart, Victoria Avenue, Whanganui, 1980s, Sir George Grey Special Collections, Auckland Libraries, 1200-221. Ref: Di Stewart, Herne Bay shops, 1980s/90s, Sir George Grey Special Collections, Auckland Libraries, 1200-168. This is another example of a documentary heritage collection from last century that provides a great aid to our memory of the places photographed. 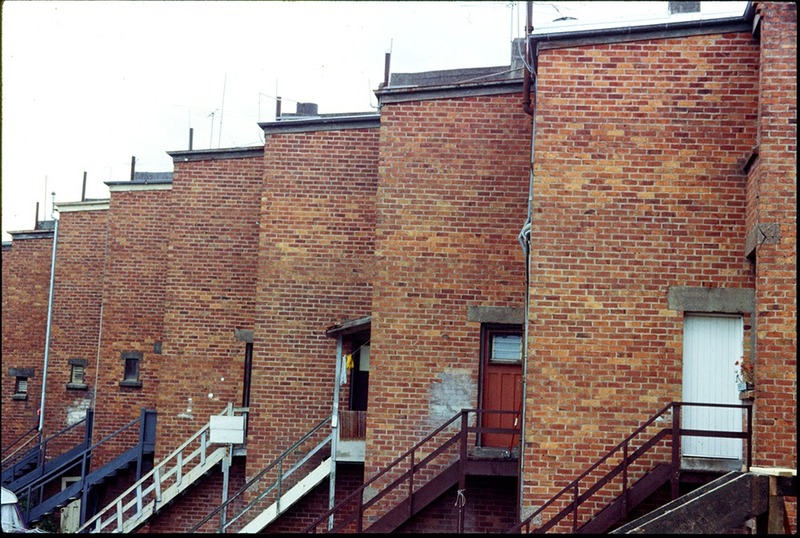 It is the focus on the buildings that really stands out in this collection and given Di Stewart’s professional interests this is not a surprise. 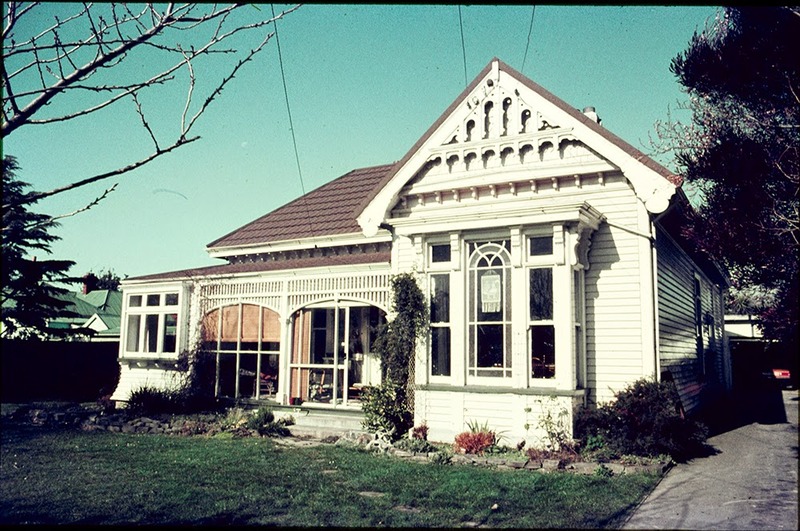 Di Stewart was an architectural historian and a Principal Planner at Auckland Council for whom she co-authored heritage studies on Helensville and also Ponsonby, where she lived for much of her adult life. Ref: Di Stewart, Marivare, 1990s?, Sir George Grey Special Collections, Auckland Libraries, 1200-160. Ref: Di Stewart, Thames School of Mines, 1990s?, Sir George Grey Special Collections, Auckland Libraries, 1200-44. 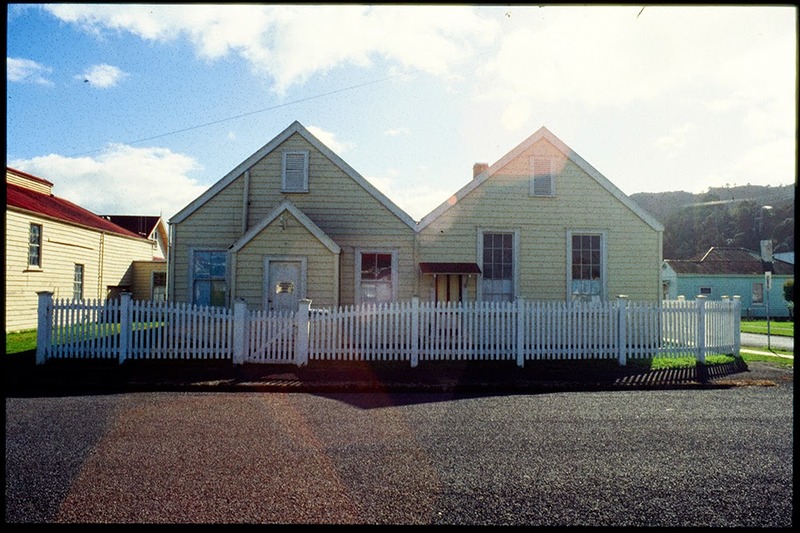 Ref: Di Stewart, House in Marine Parade, Herne Bay, 1980s/90s, Sir George Grey Special Collections, Auckland Libraries, 1200-167. She also published, what the New Zealand Herald called in its obituary of her was, the definitive book on New Zealand villas. The book is called The New Zealand Villa and Auckland Libraries has plenty of copies of both editions available to borrow. In some of the images in this collection dated from October 1983 we can see evidence of Stewart’s enduring interest in villas. Ref: Di Stewart, Villa, October 1983, Sir George Grey Special Collections, Auckland Libraries, 1200-195. 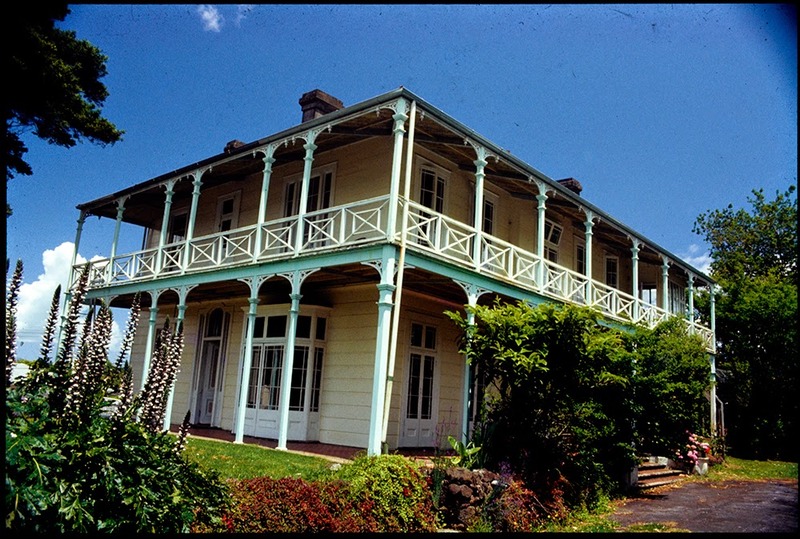 Ref: Di Stewart, Unidentified villa, 1980s/90s, Sir George Grey Special Collections, Auckland Libraries, 1200-169. This is the second collection of Di Stewart’s photographs that have been donated to the Library; the first was in 2004 and comprises almost five hundred images from around the Ponsonby and Herne Bay areas. 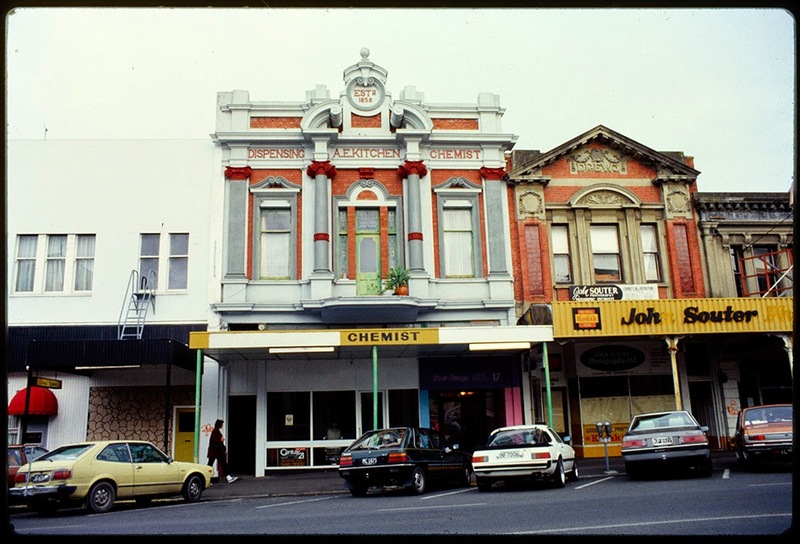 The two volume 1996 Ponsonby Road and Jervois Road: heritage study produced for the Auckland City Council provided the impetus for many of the images in this collection. Watch for a future post on these 1996 photos by Di Stewart.